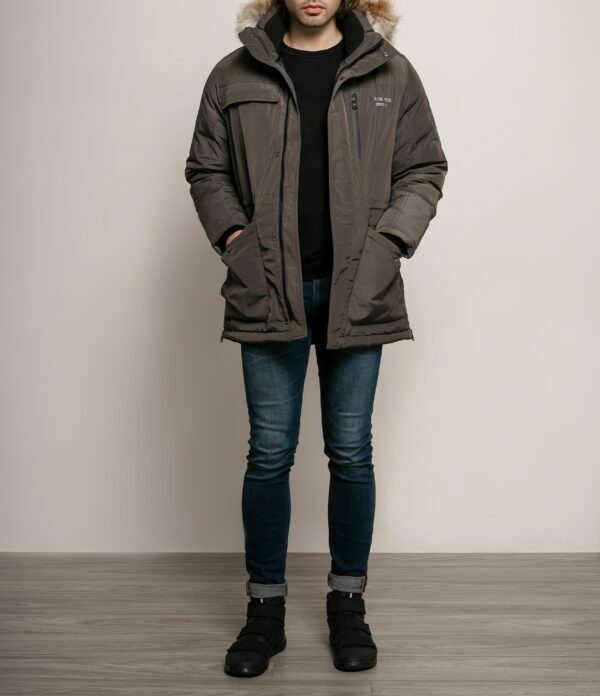 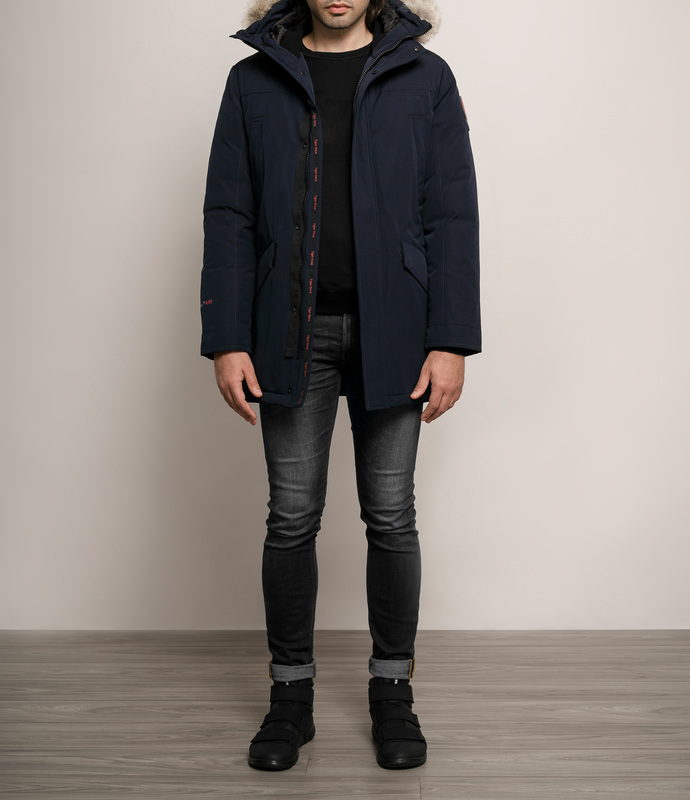 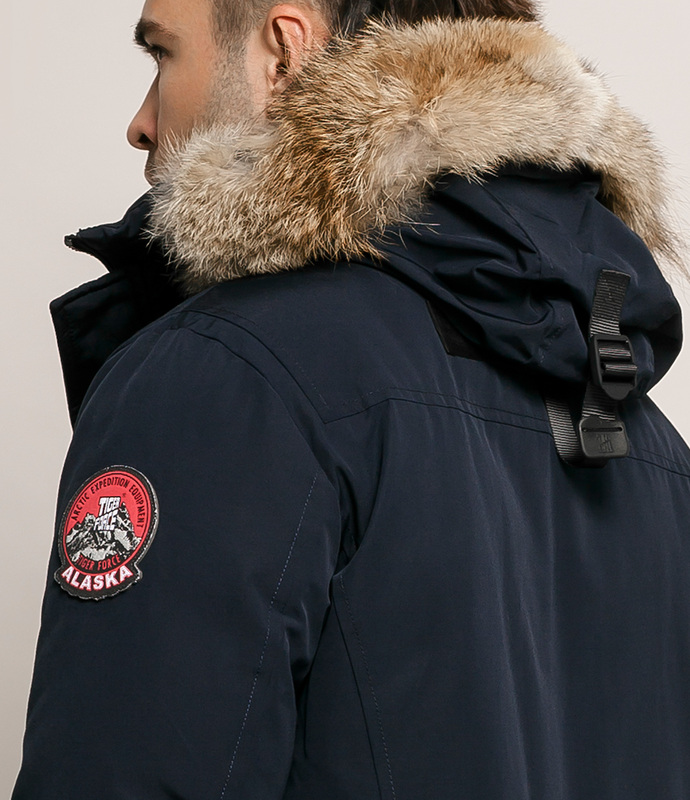 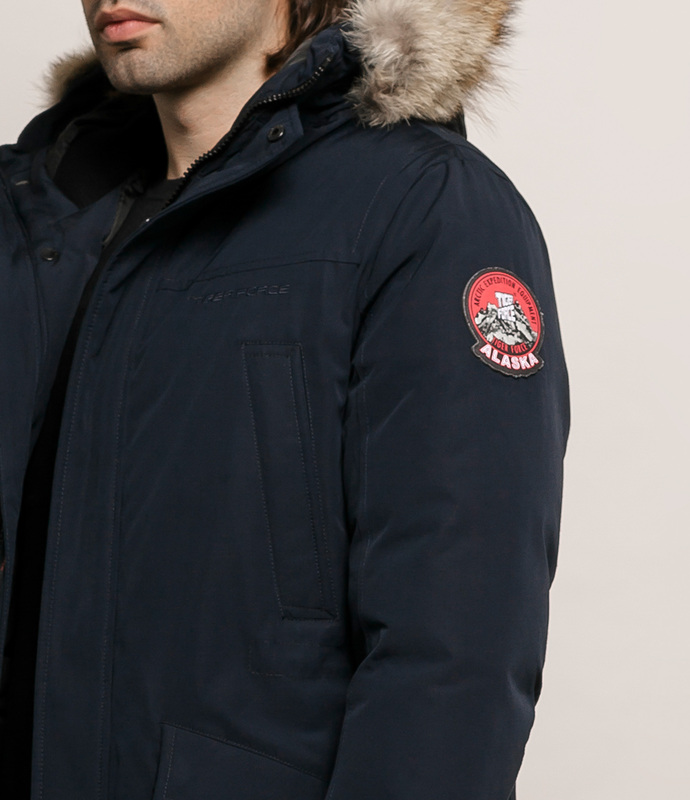 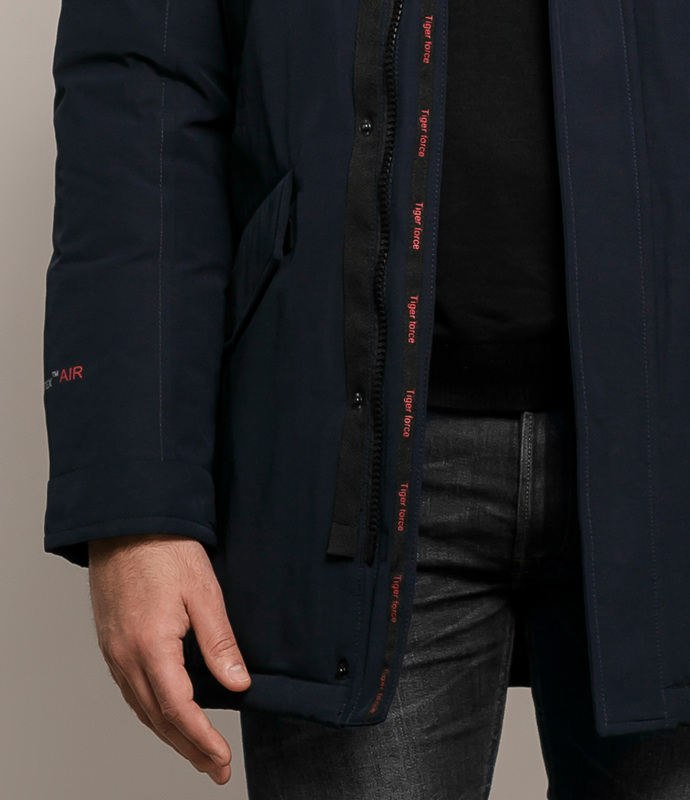 Hooded down jacket is an ideal winter piece, designed in a relaxed fit and crafted in a lightweight fabric with a water-resistant finish. 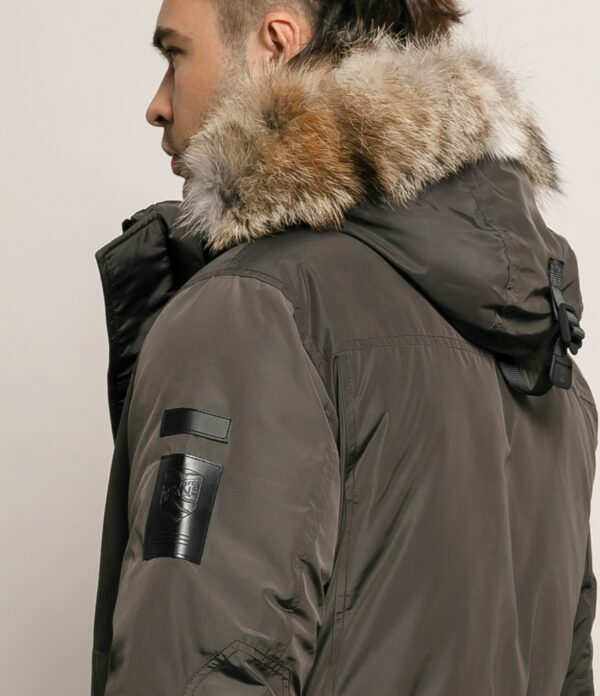 Hood is decorated with wolf fur and the depth of it can be adjusted. 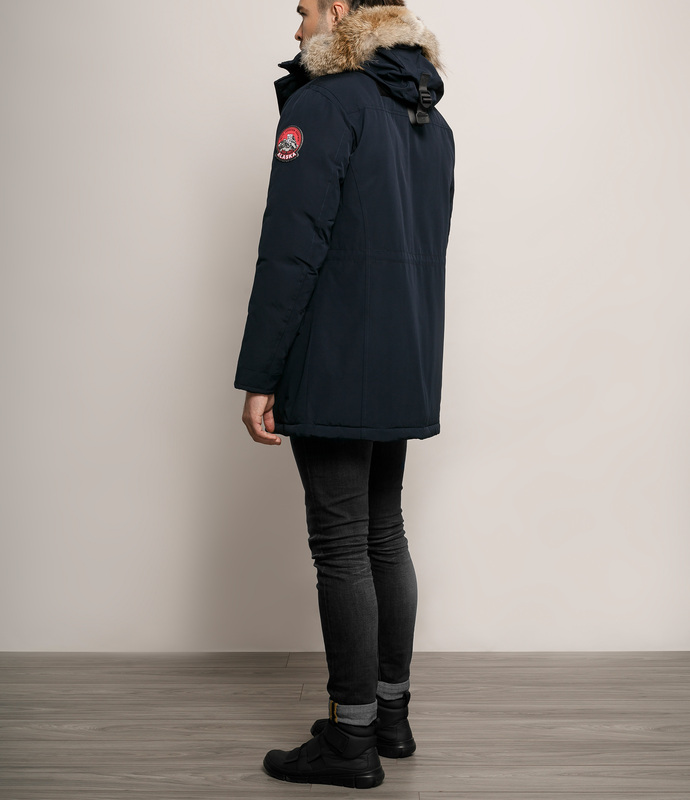 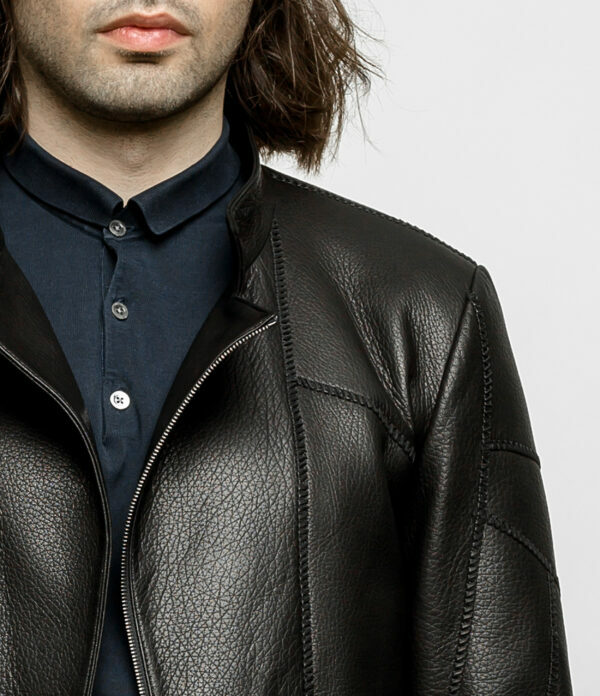 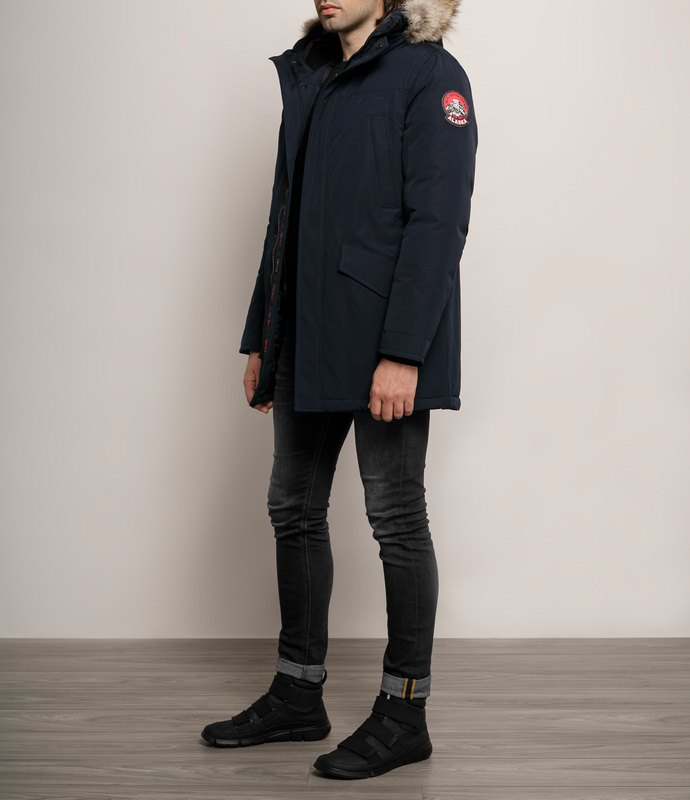 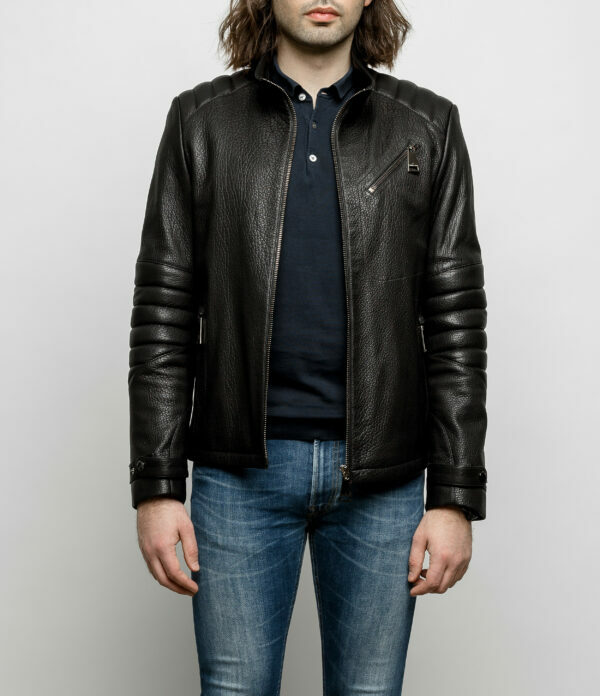 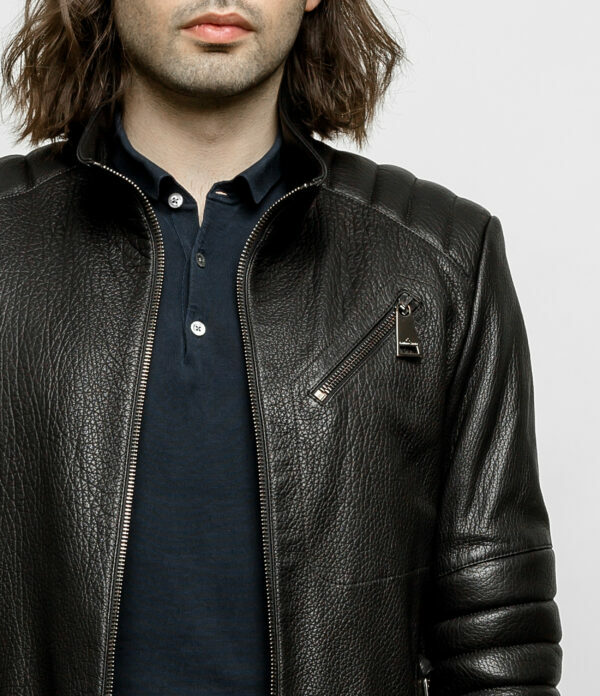 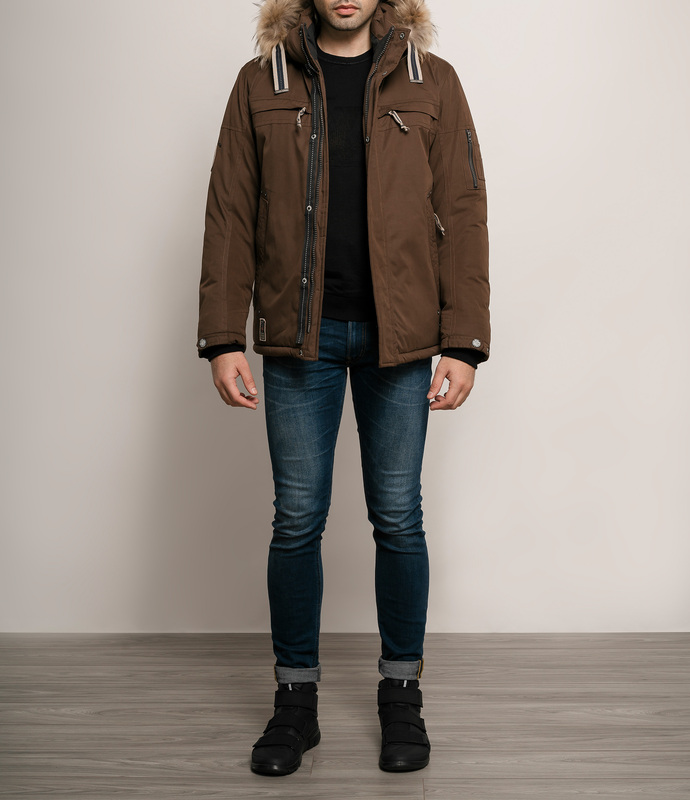 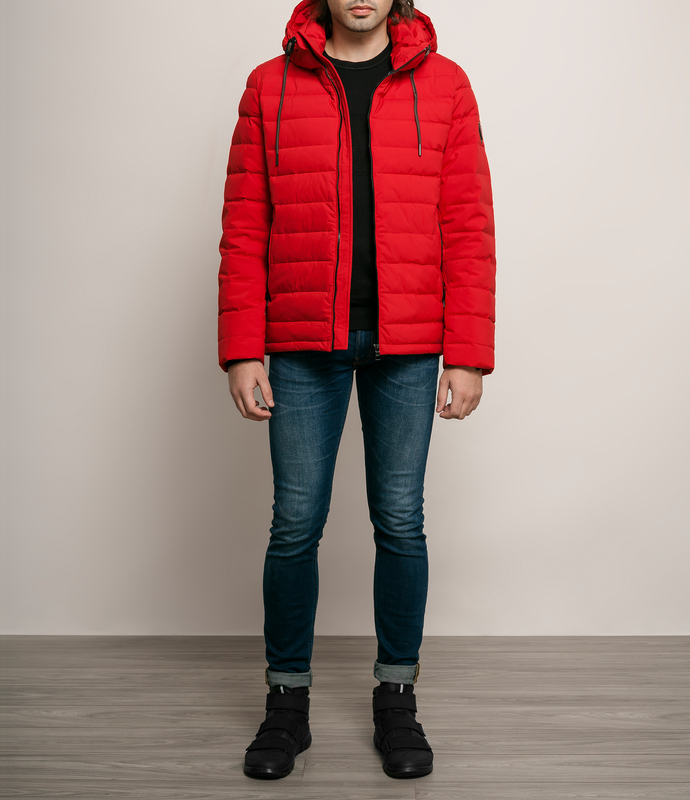 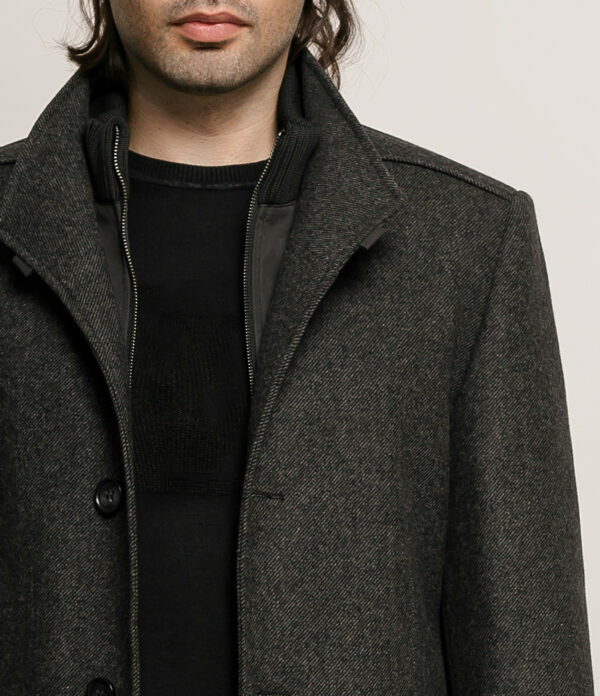 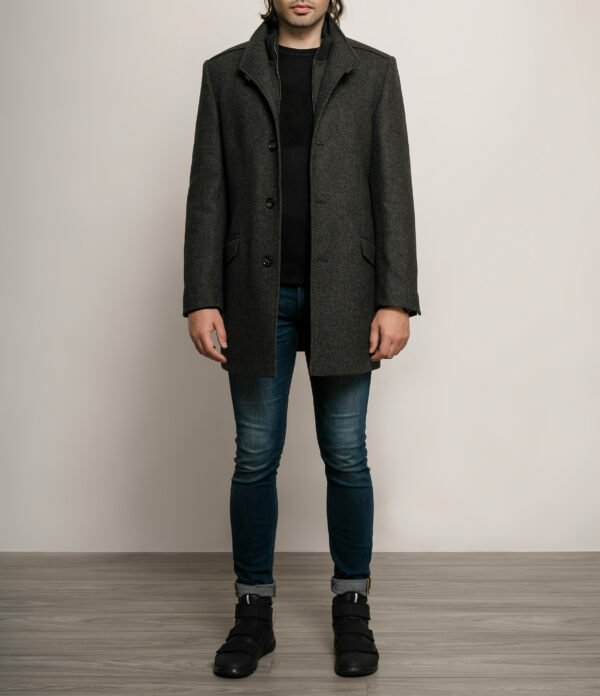 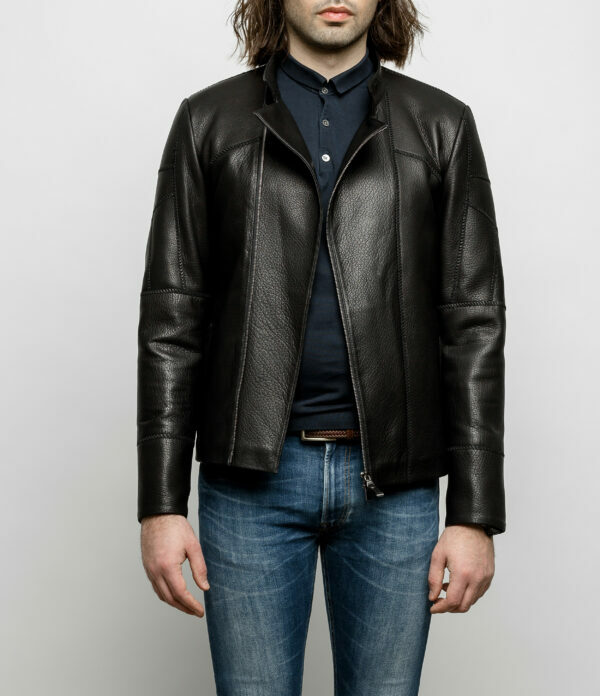 Jacket finished with a concealed front zip fastening and comfortable large flap pockets.